Progress! 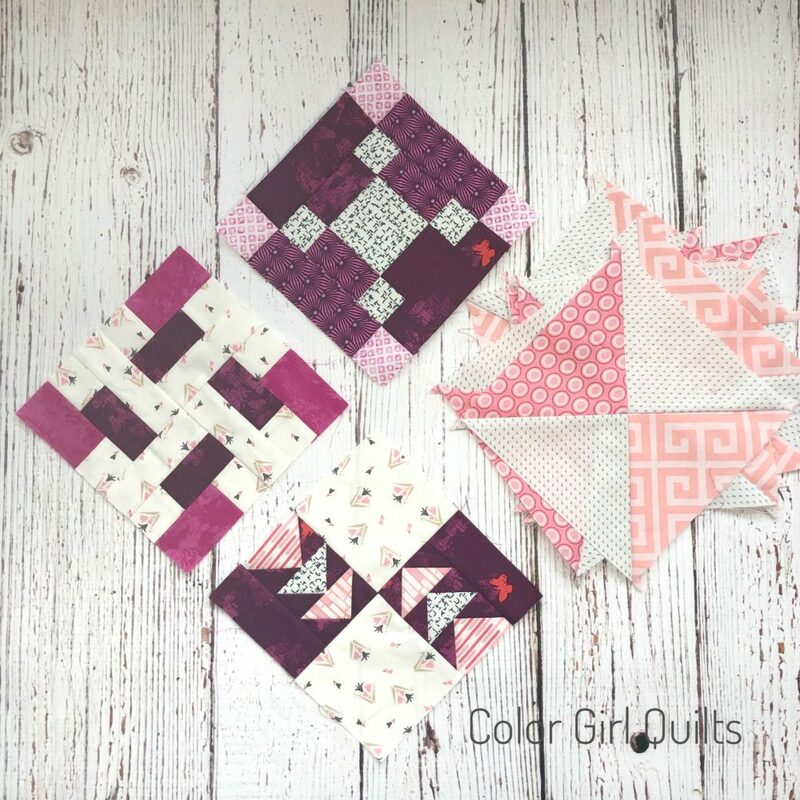 How are you coming on your Super Simple Sampler blocks? I feel like sewing time has been short lately, but I am determined to get this quilt done in 2018 (-:I have a new video up on Color Girl Quilts YouTube. 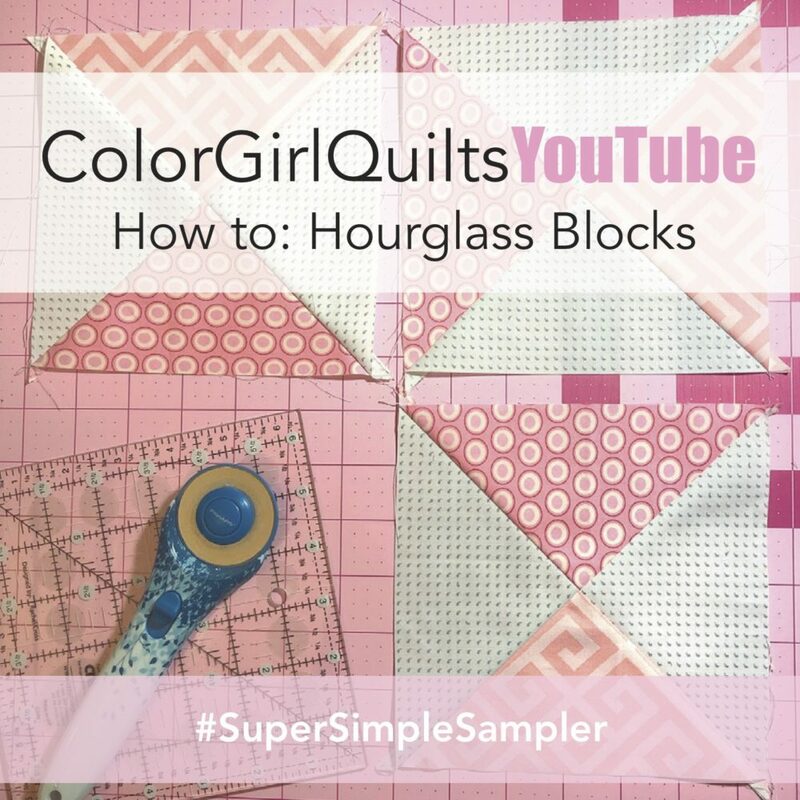 This tutorial is all about making hourglass blocks that we will alternate with the sampler blocks in the final layout. If you would like to use this layout on your own set of orphan sampler blocks, see bottom of page for cutting measurement adaptation. 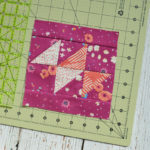 In the video I will show you how to cut and sew these cute blocks in sets of four at a time (they make up quickly!). I am sewing mine in a combination of two pink prints and a white/gray print. 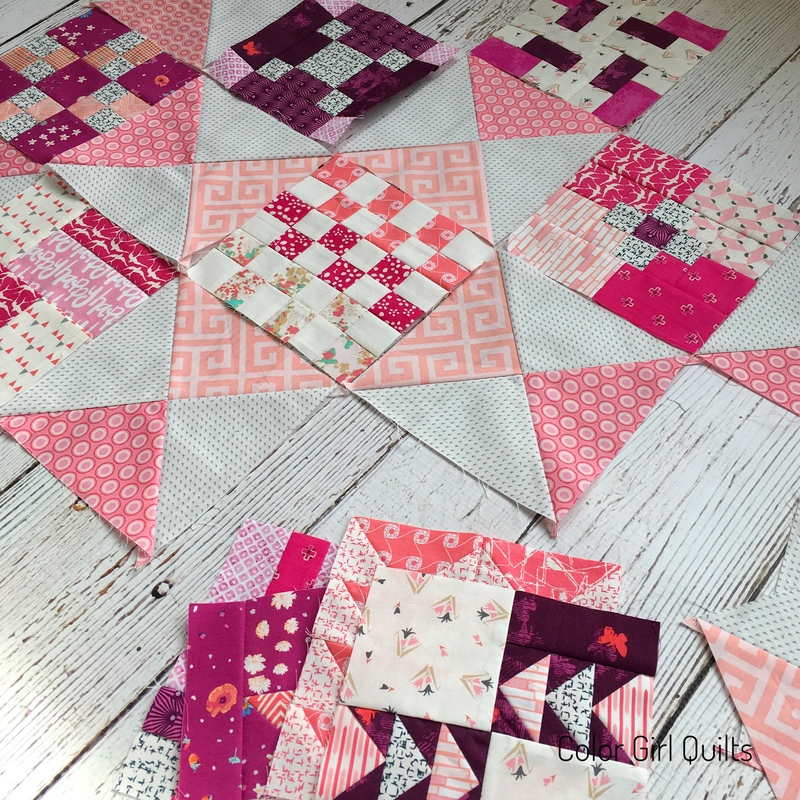 When they are arranged with the sampler blocks, it gives the appearance of each block framed on point with either a larger pink square or larger white square. 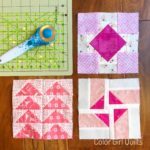 This is a quick and easy way to make your quilt larger without sewing as many sampler blocks. 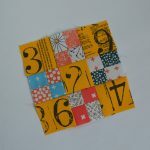 For the layout I have planned, I am making all 36 Super Simple Sampler Blocks (<<link to page with all the free block tutorials>>) plus 36 of the hourglass blocks. If you are sewing along, be sure and share! I’d love to see what you make. You can email me or tag me on IG (@colorgirlquilts, #supersimplesampler) or post on Color Girl Facebook.